Northern Italy is known for its views, alpine mountains, great wine and foods and of course the pristine lakes. Italy is full of lakes but when we say “North Italy lakes” we usually mean the 4 big ones in the north of the boot: Lago Maggiore, Lago di Lugano, Lago di Como and Lago di Garda. The distances between the lakes vary, but if you want to travel from Lake Maggiore to Lake Garda and visit Lake Lugano and Lake Como on the way, you will be travelling a distance of almost 400 kilometers. To truly enjoy the Italian lakes district you have to either be there on a long vacation and be willing to drive a lot, or you have to choose one area to focus on and return for the other lakes at a later time. This is why we love the locations of both our Porlezza apartments in Lake Lugano and our La-Torre Holiday Home in Lake Como. You see, Lake Lugano and Lake Como are the closest two of the four great Italian lakes. In fact the distance between Porlezza and Menaggio is a mere 13 kilometers and takes about 15 minutes of slow drive. Strategically located, both our properties can serve as great base camps for day trips around both Lake Lugano and Lake Como, allowing you to enjoy two of the 4 major Italian lakes on your holiday. 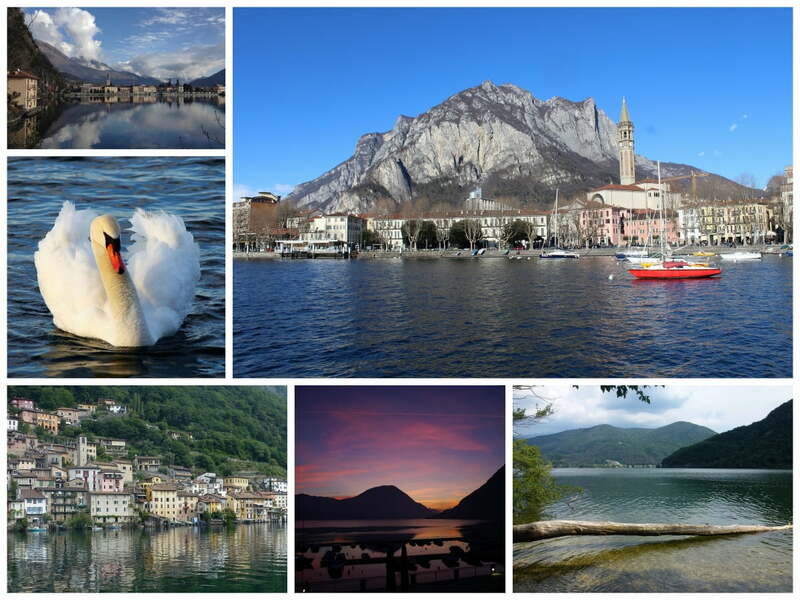 With a carefully planned Itinerary you can enjoy what both lakes have to offer and still have time to relax and lounge in a café on the waterfront of Lake Lugano (if you are in Porlezza) or in the garden of our La-Torre Holiday home. Over the course of the next weeks we will be adding sample itineraries to our blog allowing you to optimally plan your dream Italian vacation while enjoying both Lake Lugano and Lake Como. We are aware that most of our guests come for a week and it’s simply too short of a period to explore every nuke and cranny of the majestic lakes, but we will do our best to offer you options for any vacation type you prefer: Romantic Getaways, Cycling Holidays, Family trips with children and Special getaways for artists. With our Porlezza apartments and their modern design and the rustic La-Torre house with its art studio and the large garden we can welcome travelers who fancy anything from a relaxed waterfront vacation, through nature treks and extreme sports to reclusive artists who wish to paint and sculpt out in nature. this lake is awesome and beautiful i like this..
Wow , This lake is really awesome and beautiful thanks for sharing this post!